Adam Gergetz knows how illness often comes at the worst time. The East junior became extremely sick during “AP Week,” the two-week period in May when all Advanced Placement exams are offered to students. The tests are high stakes and not easily rescheduled. While doing his best to study, both the mental and physical aspects were a struggle. Due to his sickness, Gergetz considered skipping one of his exams. “I tried contacting Mrs. Pauli before, seeing if I could at this point reschedule, which I knew wouldn’t happen,” Gergetz said. Ann Pauli is in charge of organizing everything for AP tests, including making sure that students fill out all of their paperwork before the tests. On Tuesday morning, the day of his AP Calculus exam, Gergetz decided to go to school despite his illness. Gergetz did not see a doctor, but had pinkeye in January and guesses he may have had pinkeye again. Fortunately, Gergetz thinks that the exam went well, despite his difficulties in getting to the testing location. “The exam itself, well, I did feel out of it. But, according to everyone else, it was as hard for me as it was for them. There’s hope,” he said. According to Laura Vraney, an East math teacher, AP Week seemed overall to go fairly well. “I think for the most part, students really did what I was expecting of them, and did the reviews outside of class. 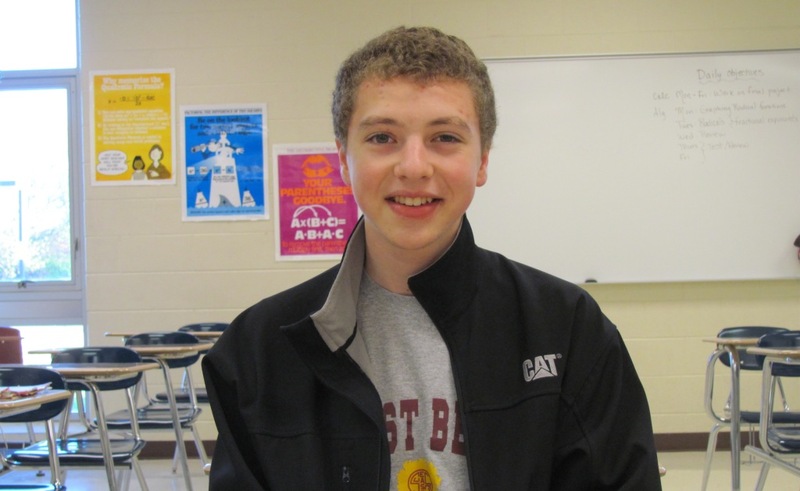 I was very happy with how many students took the practice test,” Vraney said. Regarding the performance of the students, Vraney isn’t too concerned. She seems more worried about the couple of students who were not quite up to par physically during the stressful week. “I don’t really worry about how it looks for me. I want that last test to reflect what they learned, and if you’re not feeling well… I just hope for their sake that everything works out okay for them on all of the tests,” Vraney said. Gergetz wasn’t the only student who fell sick during AP week. “I know that there was another student that had to leave my test to throw up,” Vraney said.